After the South Tower collapsed, NYPD helicopters relayed information about the deteriorating conditions of the North Tower. At 10:20 am, the NYPD aviation unit reported that "the top of the tower might be leaning", and a minute later reported that the North Tower, "is buckling on the southwest corner and leaning to the south". At 10:28 am, the aviation unit reported that "the roof is going to come down very shortly". 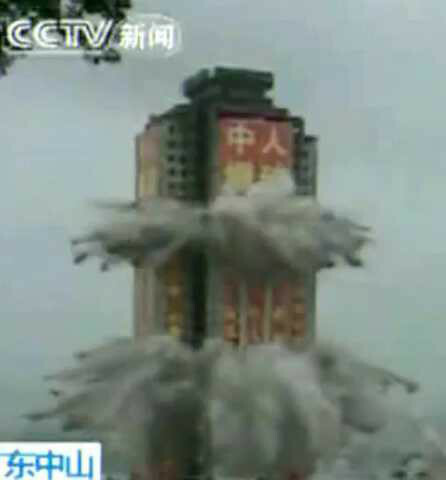 The North Tower collapsed at 10:28 am, after burning for 102 minutes. I have never actually seen photographic evidence that the entire upper section of the North Tower was leaning to any degree. I used to think this was an optical illusion caused by the heat of the fires causing some perimeter parts to bend inward, but this is something I havean't seen until now. Last edited by MicahJava; 6th February 2018 at 02:27 PM. Wow, evidence fire brought down the WTC towers. You debunked 9/11 truth. Good job. It only took you 16 years to figure out 9/11. Yeah, I remember them - a couple hits back in the 80’s then they faded away. Well, 9/11 did harden my heart, and the song was written exactly 20 years prior! A coincidence? Flash? You mean the fire? The raging inferno of a fire. In future my advice would be to avoid this pathological anomaly hunting nonsense. That isn't how real investigation works. Last edited by Mark F; 6th February 2018 at 03:46 PM. I saw at least two that said it was fire, and the videos you posted proved it was fire. And you posted a song about ducks because of course you did. You might want to expand on your link if you want people (me anyway) to click. ETA never mind, I'm sure it was hilarious. Last edited by fagin; 6th February 2018 at 03:46 PM. I don't know, that's pretty bright compared to the fire right above it. That almost shows up as pure white to the camera. This flash shares much more of a resemblance to that other one filmed high up on the corner of the South Tower than a random burst of fire. What floor is that? I wonder if I can find any better camera angles. It would not be hard to at least poke around http://www.911conspiracy.tv for a while. Be back soon. Last edited by MicahJava; 6th February 2018 at 04:29 PM. I don't know, that's pretty bright compared to the fire right above it. That almost shows up as pure white to the camera. 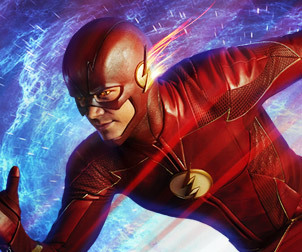 When the beginning premise is as mind-numbingly stupid as "explosives went off - see the flash!" but the tower didn't collapse for 20 MINUTES, what more do you expect? Apart from posting old videos, is there a point to this thread? And it's still fire. As much as you want it to be whatever it is you want it to be, fire is fire. What you want doesn't change that. IF there is a point to any of this will you be getting to it in our lifetimes? Was there fire on the floor of the corner flash? And why does the flash correspond with the structure of the building buckling at that point? And what difference does it make. Amazing! combustable items combusting infront of a camera! Someone call Guinness, I think we have a new record, has anyone ever filmed anything combustable catching on fire before? .... what? They have? Many millions of times? After that..................maybe the all important "and" question. A flash is evidence of what? Could it be fire? Electrical short? What is MJ's claim? Posting a bunch of videos and not explaining each one - big fail. A flash, and no explosion. Was it a dud. Nope, that is called projection, you posted what 9/11 truth does, with the Duck Song. It is the story of 9/11 truth. You are a genius, and you don't know it. Last edited by beachnut; 6th February 2018 at 09:00 PM. Running the slo-mo video at quarter-speed shows the building was indeed collapsing before the photographer set off his flash. The screen grab behind the spoiler shows the barely visible flash beginning at approximately 6 into the video, well after the collapse began. There are no anomalies, there is a massive lack of knowledge. Stange?, a flash in a fire, a flash in a collapsing building? "Got any grapes? ", like 9/11, you failed to study the video, "The Duck Song". It is a parable about 9/11 truth lies, the search for "overwhelming evidence". We take you to the store, get you a grape, and you don't want it. You been asking for grapes over and over, and you don't want it. You just want to keep asking. The video is about 9/11 truth. Maybe one day you will want lemonade, when you know who did 9/11, 19 terrorists. As a reality check, here's how demolition explosives look like. Any rational person would conclude that these can't be explosives. Also, thermite is slower burning. Slow burning = no flash; fast burning = bang = ejections. These always go together. You can't escape them no matter how much you run. Furthermore, could you explain how a building that was able to sustain damage from a plane, which cut multiple perimeter columns, would fall with just that very minor and localized damage? Last edited by pgimeno; 6th February 2018 at 09:14 PM. Why do CTists think that every single thing we see in the towers has to have been well-documented before? First of all, it was a one-time event unlike any in history. We cannot ever reproduce all of the physics of that day. Second, the camera work from that day consisted of whatever was on-hand, compressed in whatever format the station used, broadcast in whatever definition tv's had. There is no reason to think that we'd get any clear footage of anything or that we'd be able to definitively say what the footage showed even if we had. "This looks weird to me, thus it is weird," is not sound reasoning. Have a couple bong hits and you'll realize how silly you sound. You know what's really scary? It's 2018. That means we're gonna have Truthers that weren't even alive when 9/11 happened, if we haven't already. There are flashes long before collapse begins, and flashes after collapse is well underway. There are no such flashes IMMEDIATELY BEFORE collapse commences. So these are demolition charges, MJ? You must be convinced that the demo charges that brought down the WTC were visible - except for those that actually brought down the WTC. What a schizophrenic position to hold! Have the whereabouts of the Furious Five been accounted for? I don't know, that's pretty bright compared to the fire right above it. That almost shows up as pure white to the camera. This flash shares much more of a resemblance to that other one filmed high up on the corner of the South Tower than a random burst of fire. Wow, check that out! It's exactly the kind of bright sustained flash that a demolition charge wouldn't cause! You may be on to something. Something besides explosives might have caused the towers to collapse! But what? What could it possibly have been? Why is it that CT's always need the bleeding obvious explained to them? Tell you what, why don't you stop playing games. Everyone who has responded to you so far has said what it obviously is - fire. You apparently disagree. So stop JAQ'ing around and get to your point. WHAT DO YOU THINK THIS SINGLE ANOMALY MEANS? You obviously don't care what anyone else thinks so get on with it already. Last edited by Mark F; 7th February 2018 at 08:27 AM. I loved "I Dream of Jeannie". Col. Bellows would get so flustered. Demolition 101 Micah, demolition charges are extremely loud. Please provide audio proof accompanying that flash or any others that day. You've been asked this many times before, for once don't be a coward and run away. To many things in the buildings to have caused it naturally, but it resembles a dust explosion though a broken window, possibly carbon black. That would be an effect of compression of hot gases dust and oxygen in air producing a gun powder effect my experiments years ago pointed out this would be a natural occurance as well as some friction ignited molten Aluminum. I can not go farther into this as you can understand don't want to teach people this stuff.